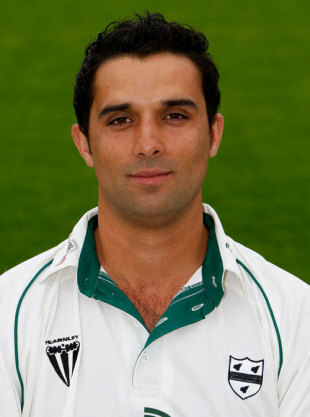 Kabir Ali, the Worcestershire paceman, has failed to report for pre-season training with the club. Kabir, who has played one Test and 14 ODIs for England, has one year of his contract remaining but wants to quit New Road to join Hampshire on a three-year deal. Worcestershire endured a torrid season in 2009, finishing last in Division One of the Championship, where they failed to win a single game. Since then there has been a glut of players leaving the club with Steven Moore, the opening batsman, leaving for Lancashire and spinner Gareth Batty and wicketkeeper Steven Davies, who is currently in South Africa with England, going to Surrey. Kabir was Worcestershire's leading wicket-taker in 2008 with 59 victims, but was restricted to four first-class appearances last season with hamstring and back problems. He wanted to leave the club at the end of the season but Worcestershire demanded that any county signing him would have to pay £60,000 in compensation. Kabir could now face disciplinary action after failing to turn up with the rest of his teammates this week to start preparations for the 2010 campaign. Steve Rhodes, Worcester's director of cricket, confirmed: "Kabir has not reported back for pre-season training this week. He is still in dispute with the club. It is a contract dispute. That is all I can say. Hopefully it can be sorted out as soon as possible because he is a top player."